The UK has not always been hamstrung by transport planning: big bold decisions taken centuries ago shape the world we live in today. Last week I took a ‘Fall Break’ to the New Forest in Hampshire. First established in the Eleventh Century (‘new’ is a relative concept here), the forest was originally enclosed to create hunting lands for William the Conqueror. Six hundred years later in 1698, another William (William III) re-established the forest as a naval timber plantation. Oaks take dozens of years to mature: this was longterm thinking. For almost the next two hundred years the New Forest provided the timber that built Britain’s naval and commercial expansion. 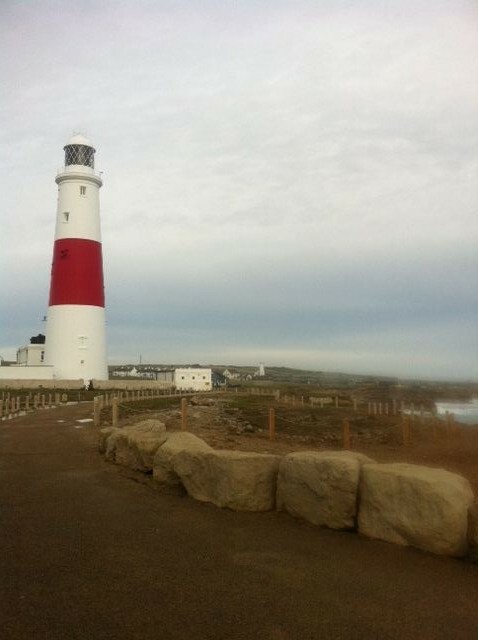 Driving southwest through Dorset to Portland Bill – where England comes to an abrupt end – the lighthouse is another reminder of how visionary and farsighted we have been about transport planning in the past. The Trinity House Corporation, which provides and maintains aids to shipping for England (and Gibraltar), was set up by Henry VIII in 1514. God help me – I’m about to quote Tony Blair – but when he said “We’re at our best, when we’re at our boldest” he was onto something. If only he’d meant it about planning. This entry was posted in Planning, Planning Panic, Transport and tagged lighthouses, New Forest, Tony Blair. Bookmark the permalink. Trinity House sounds like a fascinating corporation. I wish I knew someone who could explain the inner workings of this august institution. You can find a full history of this fascinating institution on THLS’s web site – or ask me! I worked on comma for Trinity House in the early 2000s. It was great! As many lighthouses and dockyards as anyone could wish for!